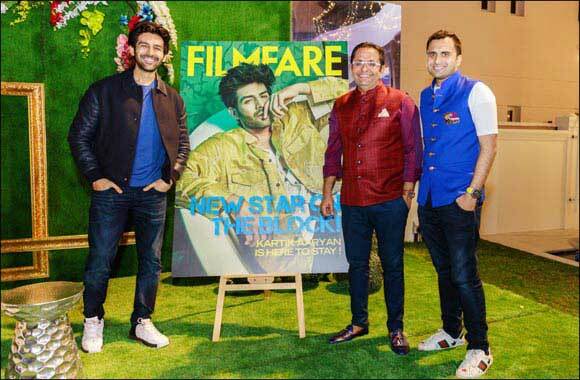 Dubai, UAE, December 01, 2018: Mr Rizwan Sajan, Founder and Chairman of Danube Group hosted the bollywood heart-throb Kartik Aaryan of Pyaar ka Punchnama and Sonu ke Titu ki Sweety at his lavish villa located at Emirates Hills on 30th November for a private meet and greet with select press, family and a few friends. The rising star was in Dubai to support his favorite team Bengal Tigers, for the action packed cricket dhamaka during the T10 league at the iconic Sharjah stadium. Kartik cheered for the team and wowed the well- heeled guest list in Dubai along with the members of the press. 'I am passionate about Bollywood and Danube group has always associated with the film fraternity be it hosting them, promoting their films and roping them as brand ambassadors across our various brands. ' says Rizwan Sajan. His acting in the famous Pyaar Ka Punchnama series and Sonu Ke Titu ki Sweety, has been appreciated by many. With his million-dollar smile, he has made a lasting impact on the audience for sure.